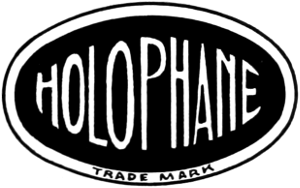 aka S. B. Althause & Co.
Assignee of Isidor Schoenberg's Patent No. 354,440. 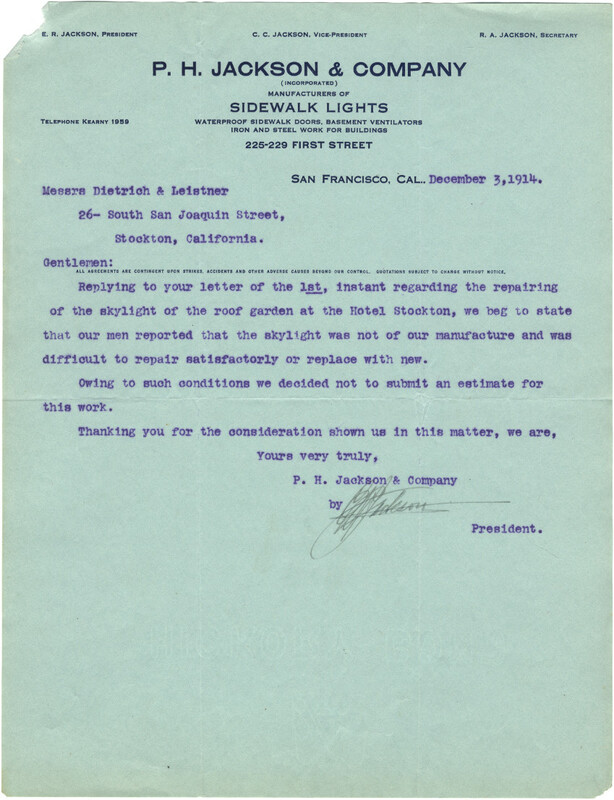 American Lucifer Prism Co., corruption of American Luxfer Prism Co.
American Luxfer Prism Co., see Luxfer Prism Co.
"Manufacturers of all kinds of Concrete and Hyatt Sidewalk, Floor and Skylight Work, and all kinds of ironwork. Coal-Hole Covers of every description always on hand"
"On January 14, 1907, Elnathan H. "Harry" Steinman, Edward D. Steinman, and Charles N. Edmonds reorganized Anchor as a Pennsylvania corporation, with a capitalization of $75,000. Their application was approved by the end of the month. The firm bought land for the factory on February 18 and began production on May 6. The work began at a single 25-ton continuous tank, although the corporation was building a second tank. The plant made tumblers and pressed tableware, while the workers waited for fruit jar machines to arrive. By the end of May, the same tank supported eight shops and had added vault lights to the inventory..." —ibid. 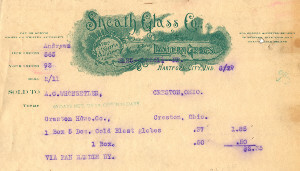 "...Anchor Glass was financed and had accounts with the Farmers and Merchants National Bank, an institution that failed during the Panic of 1907. The bank closed its doors on October 29 and never reopened. 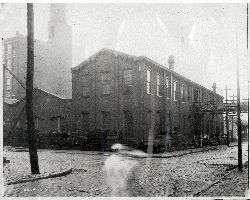 The factory entered receivership in April 1908 and continued to operate sporadically until December. 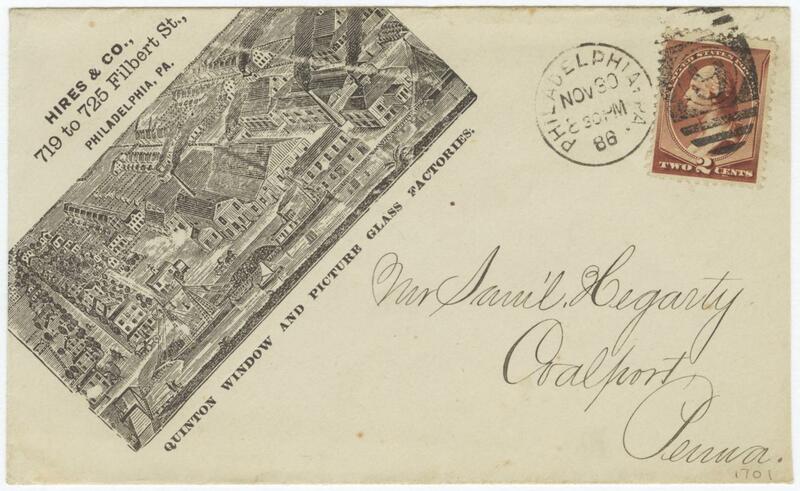 The corporation sold the plant to the L. E. Smith Glass Co. of Jeannette, Pennsylvania, at a receiver's sale on October 30, 1909..." —ibid. Wm. 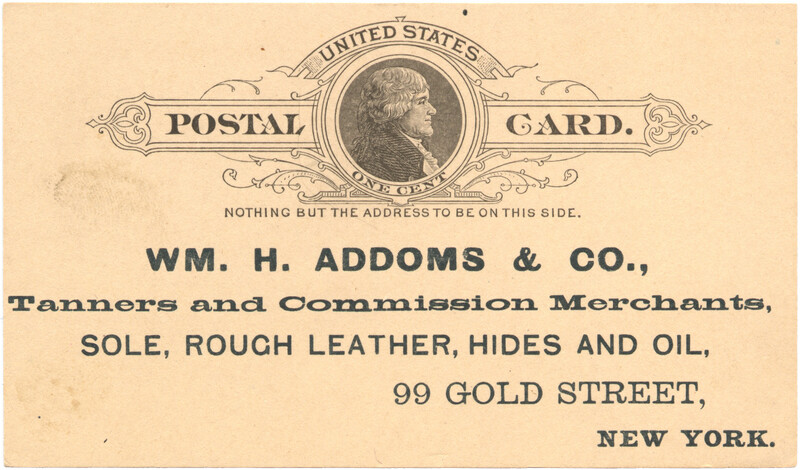 H. Addoms & Co. This coal cover (right) is "in front of residence on West Newton Street in Boston"
Makers of "SOLARAP" (aka SOLORAP?) prism tiles with unusual 90° prisms, like factory ribbed. 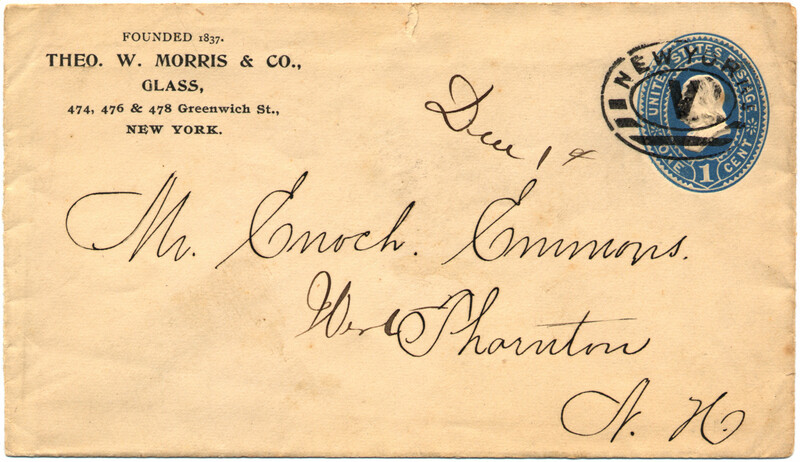 L. R. Case, New York [?-1859-1873]. 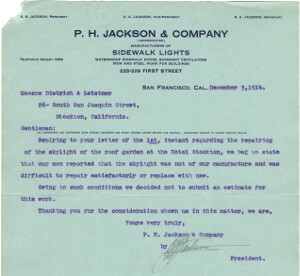 Certified List of Domestic and Foreign Corporations for the Year 1903: Name of Corporation: Chicago Sidewalk Light Co.; Capital stock: 5,000; Location of Principal Office: 101 Washington st., Chicago; President or Manager: James Magnuson, 5933 Sangamon st.; Secretary: A. S. Magnuson, 5933 Sangamon st."
Cooperative Flint Glass Co., Limited, Beaver Falls, PA [1869-1937]. Cress & Co., Inc., see Timms, Cress & Co. Mentioned in "The Architect's and Builder's Pocket-book: A Handbook for Architects, Structural Engineers, Builders, and Draughtsmen", by Frank E. Kidder, 1908. The National Glass Budget: Weekly Review of the American Glass Industry, Volume 31 (1915) also notes "The Dixon Art Glass Co., of Los Angeles, Cal., has moved from 901 E. 31st street to 31st and Griffith streets, and hereafter the firm will be known as The Dixon Glass Co."
"Enterprise Prism Repair Co., David P. Condon, 128 E 98th"
Successors to G. M. Stanwood & Co.
Nos. 261, 263, 265 Commercial Street. 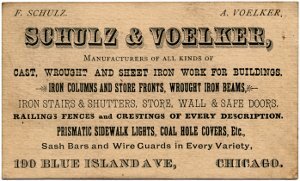 "Sidewalk Lights, Beams, Girders, Iron Columns, Iron Stairs, Iron Doors, Iron Shutters, Castings, Fire Escapes, Fences, Truss Rods, Bolts, Etc." 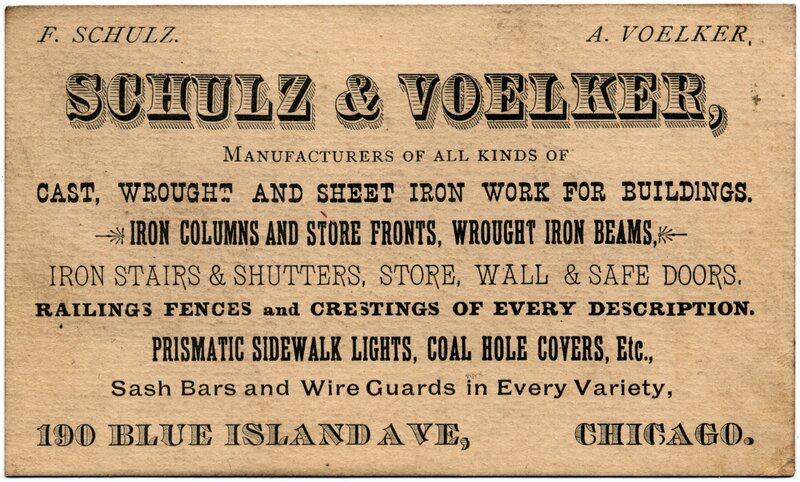 "Iron Fence Crestings, Verandas, Window Guards, Station House Cages, Jail and Architectural Iron Work"
Catalogue "B" pages 51 to 65: "Wrought Iron Works, Builders Supplies, &c", includes "Illuminating Sidewalk Lights". There's a Hanika "SAW AND FILE PROOF JAIL AND STATION-HOUSE WORK" catalog for sale for $485. 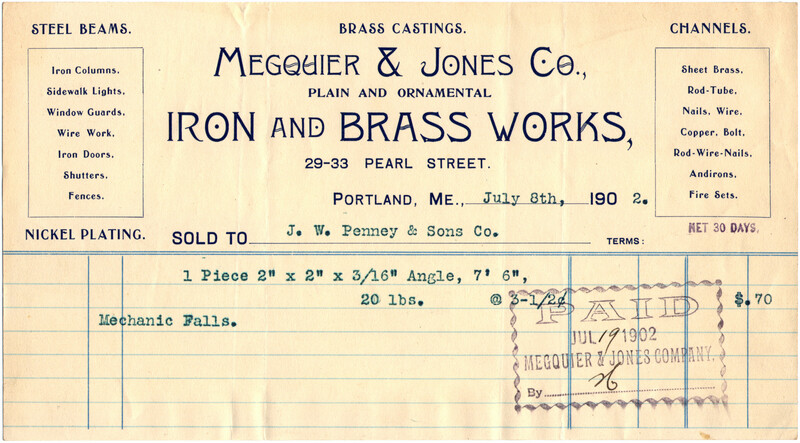 The same seller has a Catalog D for sale for a mere $650; the accompanying price list is dated 1891. Hires & Co., Philadelphia, PA — see Hires Turner Glass Co. 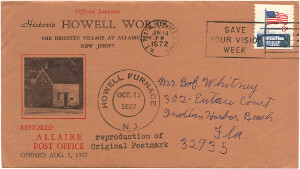 Slogan: "Holophane directs light scientifically"
"First established October 13, 1827 as 'Howell Furnace'"
"Name changed to 'Howell Works' June 16, 1831"
The Foreman's Cottage: "Built in 1831, this structure served as the home of the foreman in charge of the Howell Works casting house. It is presently used as a post office becase each foreman was also the Village postmaster from 1831 through 1848." 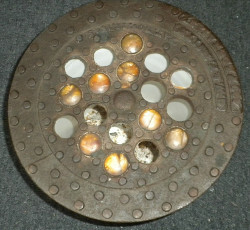 There is also a small condiment jar embossed HR Co on the base, perhaps from the same company. 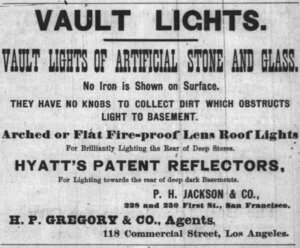 US 1880 Census records "Ingall[s] & Mark, Vault Lights"
"Manufacturers of The Replaceable Vault Light"
"The Insert Vault Light consists of a glass insert with a patented lock incased in a malleable iron rim. The malleable iron casing is flanged and keyed to receive and automatically lock the glass insert, and when laid in the cement construction is indestructible. 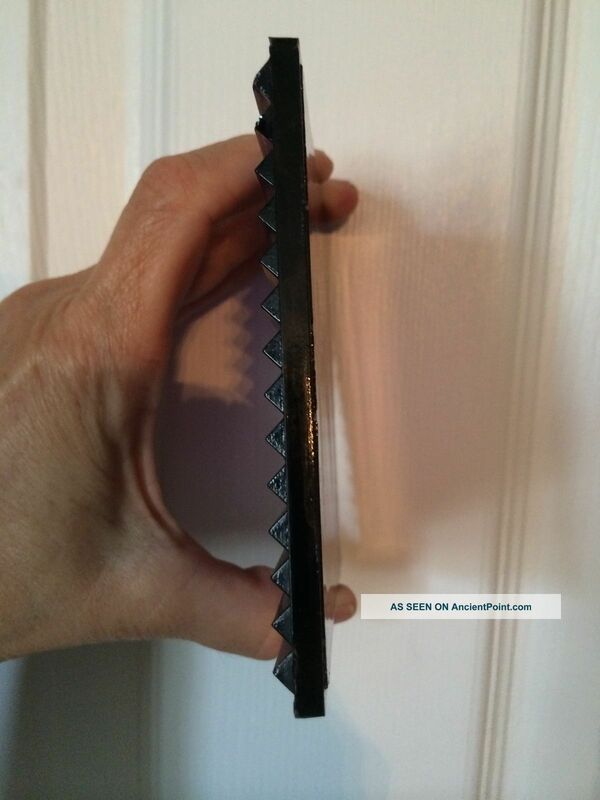 It preserves the edges of the concrete and is practically unremoveable after being installed." Specimens can be seen at Tacs. [?] Hunt, Esq. 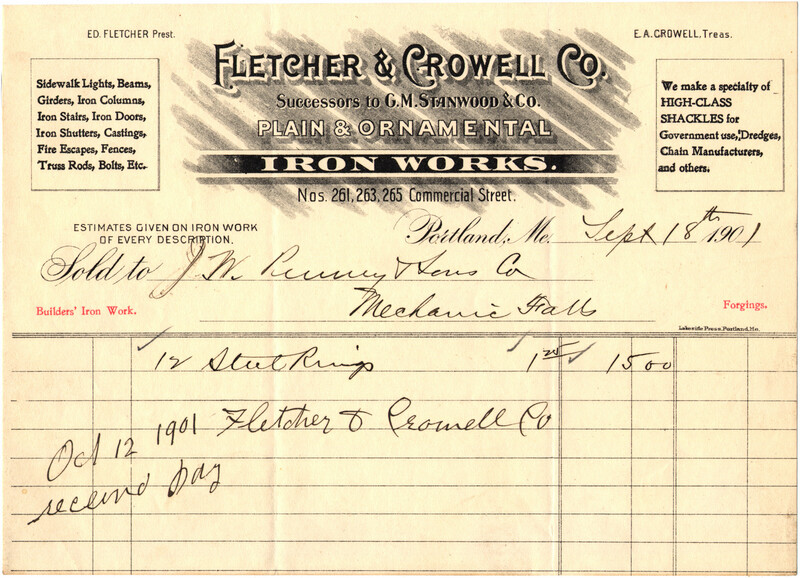 's new store, corner of Park-place and Collage-place, or at our office, where estimates for cost of this and all kinds of iron work, including iron railing doors, shutters, vaults, safes, stair-cases, columns, beams, lintels, girders, and all iron work appertaining to buildings. GEO R. JACKSON & CO., No.s 199 and 201 Centre st., and Nos. 1, 3 and 5 Howard st." —New York Times, April 20, 1858. 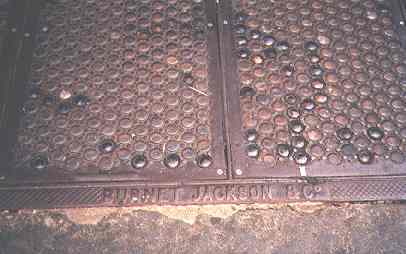 Brass ID plate found on dozens of steel sidewalk plates in Sacramento. Patents 587210, 699468, and 725846. 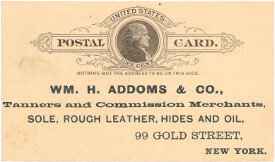 In 1905, address shown as just 228 First St. In 1918 ad, address given as 237-247 First St.
Seen as "Manufacturers Glass Co" and "Manufacturers' Glass Co" sometimes. 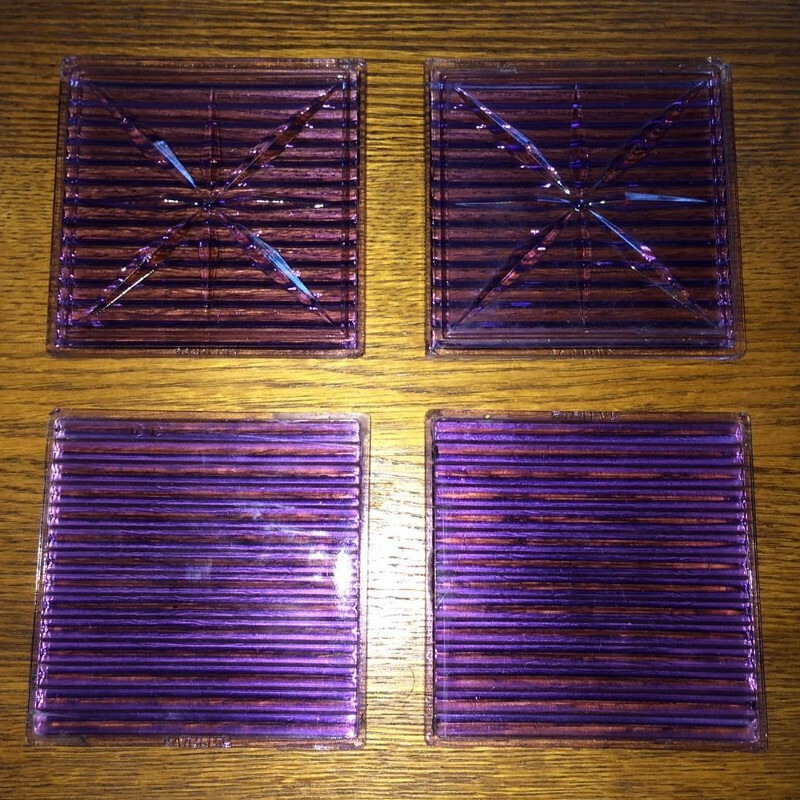 Made the well-known "pressed lens" 4" tile (no prisms though) and auto headlamps. "Plant will be run as the Kneass Window Glass Company. 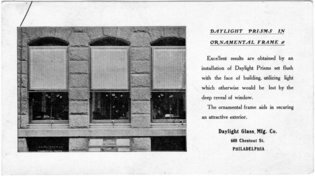 Several window glass plants will be added to the producing list within the next few weeks, among them being the tank factories at Coudersport and Hazelhurst, Pa., and the plant at Summitville, Ind. The Coudersport factory has been purchased by the Manufacturers' Glass Co., of Cleveland, O., (the Van Cleve interests) and will be operated under the title, Kneass Window Glass Co. Fire was lighted in the tank this week and matters are being hustle preparatory to starting as soon as possible to put the plant in shape. According to advices received at this office Wm. 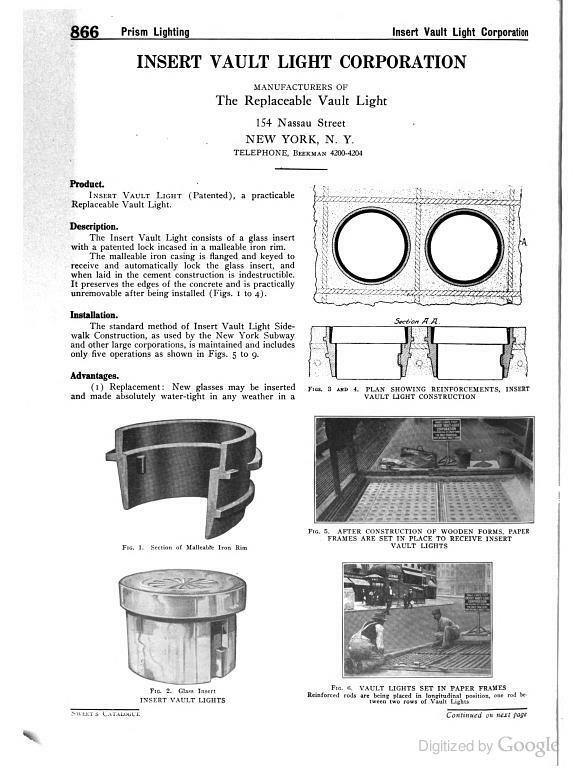 J. Edgar, the well known Port Allegany, Pa., window glass manager, will have charge of the factory equipment. "Daylight Prism Co. v. Marcus Prism Co. (C. C.) 110 F. 980—pat. 56, 154, 157. ", Federal Reporter 110 (1901): 980-85. 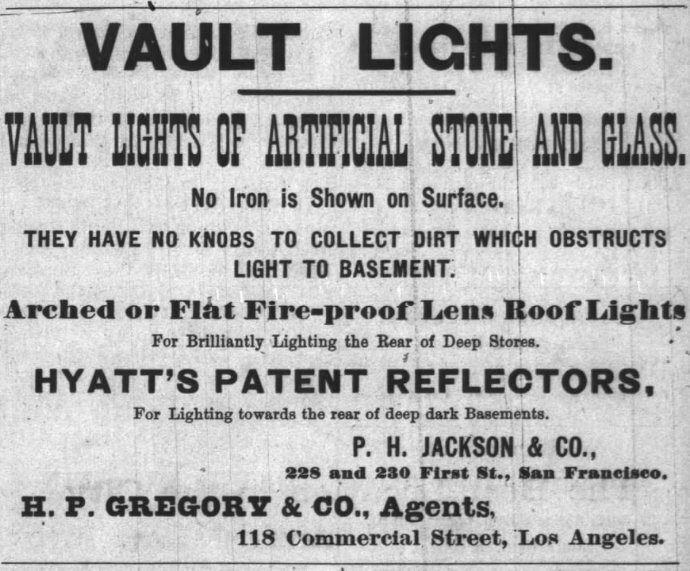 "IRON VAULT LIGHTS", "ILLUMINATING IRON SIDEWALK LIGHT", "SMOOTH CONCRETE SIDEWALK LIGHT"
"All expansion joints in the terrace floor between the stylobates and the balustrade walls were to be cleaned to the depth of the upper slab and blown out with compressed air. When clean, they were to be primed with Minwax Asphalt Primer and allowed to dry. Minwax Vault Light Cement would be poured into the joints and made flush with then top of the slab. Before this hardened, a coat of clean white sand was to be sprinkled on the surface of the joints to prevent adhesion of the asphalt compound to pedestrian traffic." 474, 476 & 478 Greenwich St.
440-444 Canal St.; 12, 14, 16 Vestry St.
"The company that would eventually become Owen Industries began as two separate entities: Vierling Steel Company in Chicago & the William Paxton Company in Omaha"
"Founded in 1885 as Paxton & Vierling Iron Works, in our early days we produced the majority of the street lamps in Omaha, Nebraska and provided iron material for countless warehouse buildings. Paxton & Vierling diversified in the early 1900s, processing structural steel for Omaha's construction boom and offering component fabrication for the emerging railroad industry. 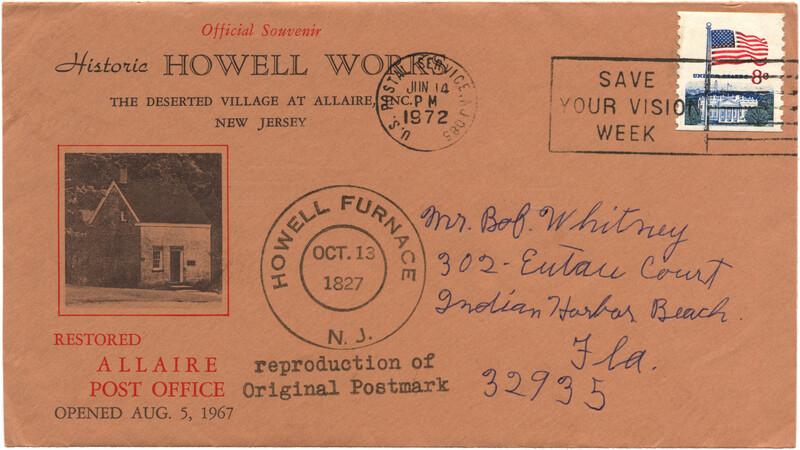 After World War II, we began supplying steel products to the Midwest's growing manufacturing and agricultural markets." John Meiggs Ewen, President, Henry M. Bacon, Secretary, Thomas W. Horn, and James G. Pennycuick founders. 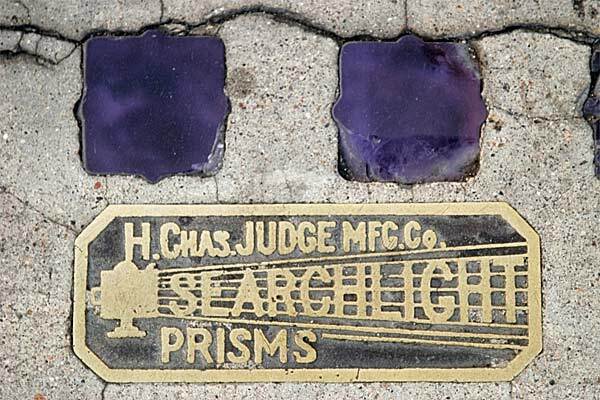 "The Semi-Prism Glass Company, Chicago, certified to a change of name to the Luxfer Prism Company." —The Inter Ocean, Dec 3, 1896; luxfer for light and ferre meaning to carry. Corporations for Profit section of the 1898 Biennial Report of the Secretary of State of the State of Illinois lists Radiating Light Co. of Chicago with capital stock of $10,000 (statement filed October 7, 1896, final certificate issued October 20, 1896, fees paid $55). Engineering News, Volume 36, 1896, shows "Radiating Light Co., Chicago, Ill.; $10,000; Henry Schofield, Henry M. Bacon, William R. Odell." 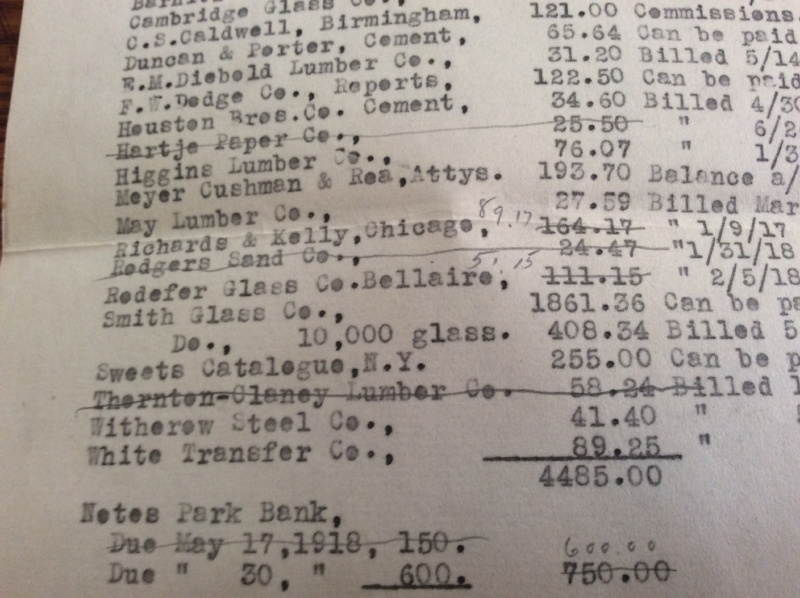 In the 1898 Biennial Report of the Secretary of State of the State of Illinois, Reflex Glass Co is listed with $1,000 Capital Stock; statement filed and license issued May 17, 1898; final certificate issued June 18, 1898; fees paid $30. "Rice's Aristo", embossed on edge of a 5" prism tile. Seems likely that James H. Rice Co. is the culprit. 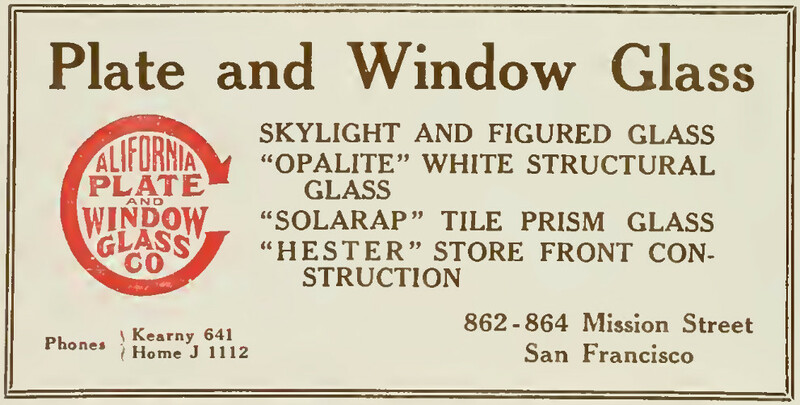 They sold "Builders' Glass of all kinds" and used the trade name Aristo for their paint (first use ca.1901, registered 1913) and starting around 1910 for other paint supplies. Perhaps they used it for prism glass tiles as well? 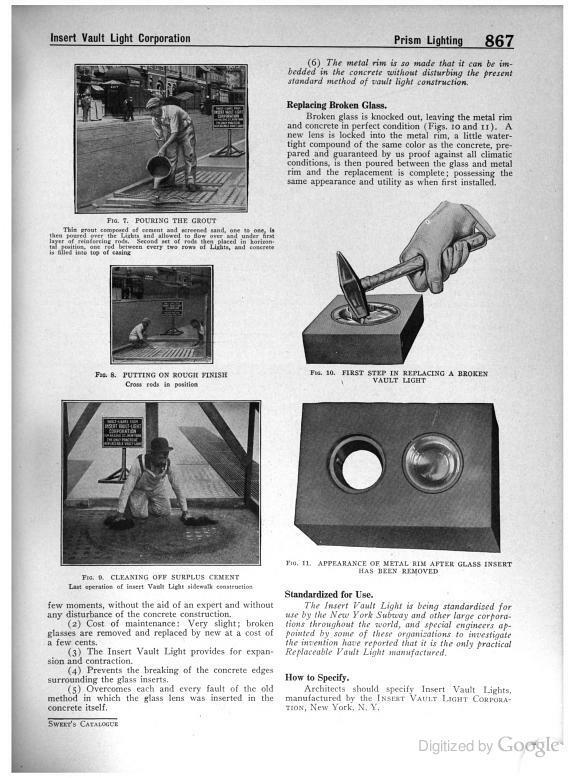 See 1913 ad at right. 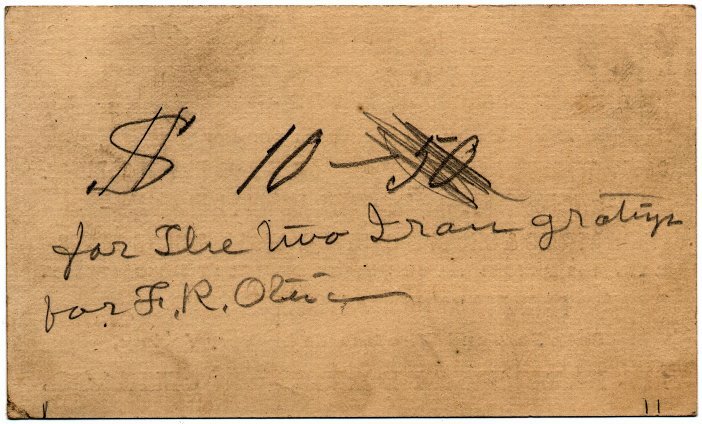 Back of card has penciled notation "$10-50" [with 50 crossed out], then "for the two drain gratings for F. R. Otin [?]". Not sure about last name. 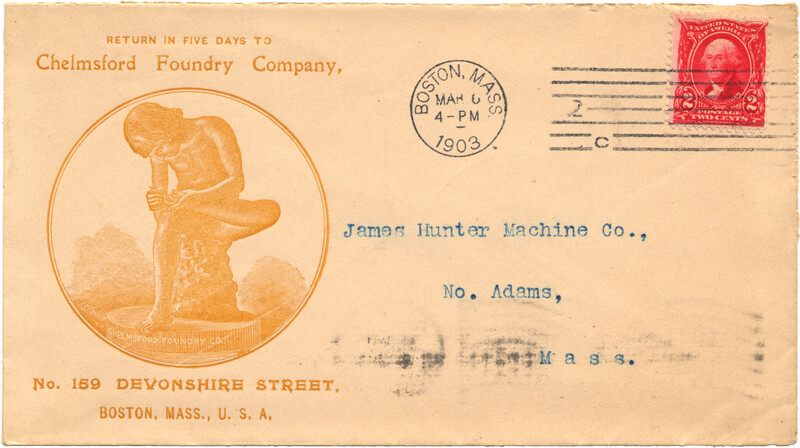 Semi-Prism Glass Co., see Luxfer Glass Co.
G. W. and H. Smith, 409 Federal St., Boston. 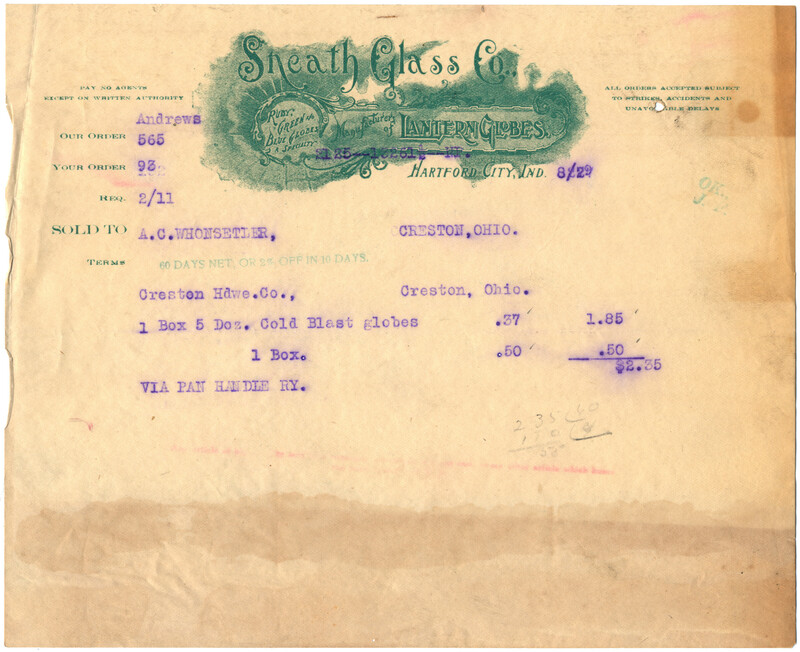 "SNEAD & CO.—Inc. 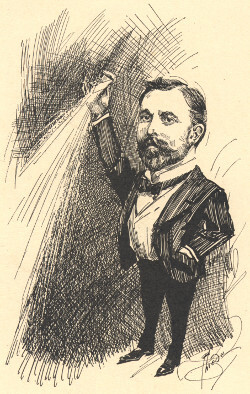 Feb 28, 1900, in N. J. 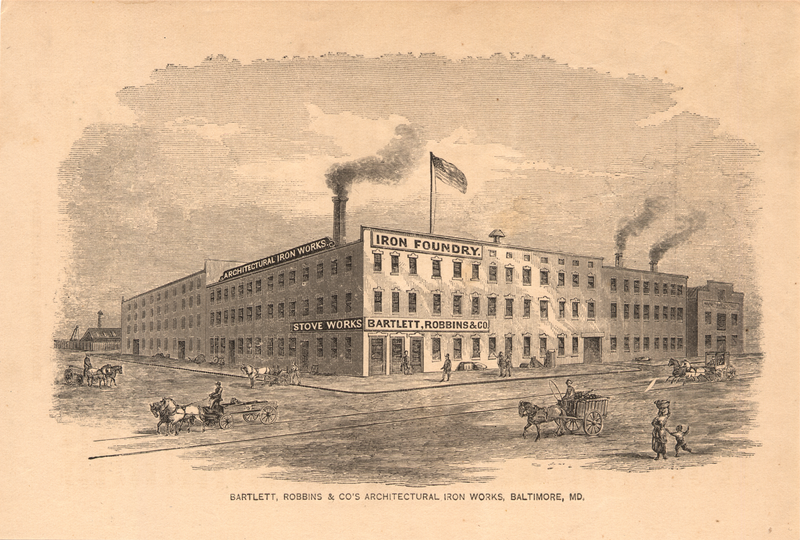 Business was originally started in 1849, in Louisville, Ky., and moved to Jersey City in 1900. 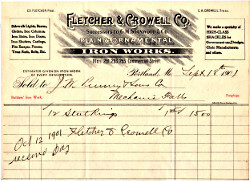 In 1919 the name was changed from The Snead & Co. Iron Works to its present designation. 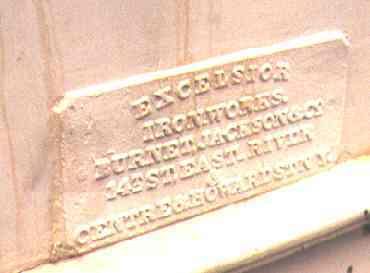 Manufactures propeller shafts, library bookstacks, grey iron castings, and certain specialties which it sells direct to the consumer by mail. Plant is located at foot of Pine St., Jersey City, N. J., on 22 acres of land owned in fee. It has a siding from the Central RR of N. J. 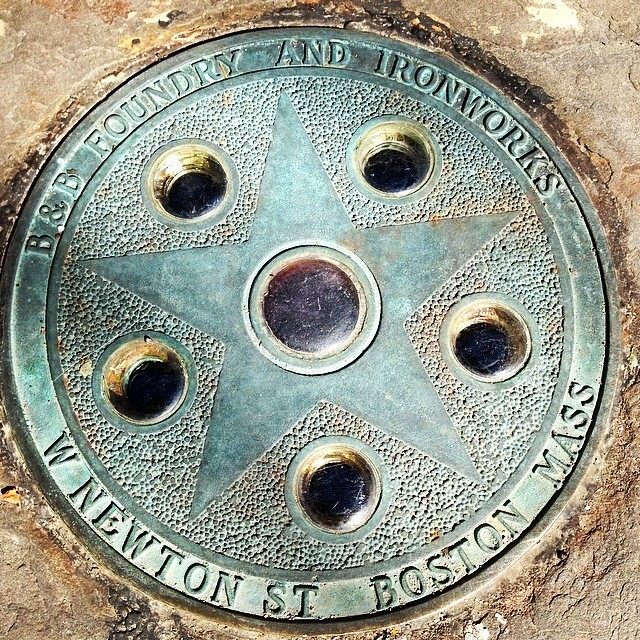 Owns $37,400 of the $40,000 capital stock of Snead & Co. Iron Works, Ltd. (Canada)." "Officers: A. S. Macdonald, Pres. & Gen. Mgr. ; H. P. Macdonald, V-P; L. R. Stagg, V-P., W. S. Snead, Sec. & Treas. 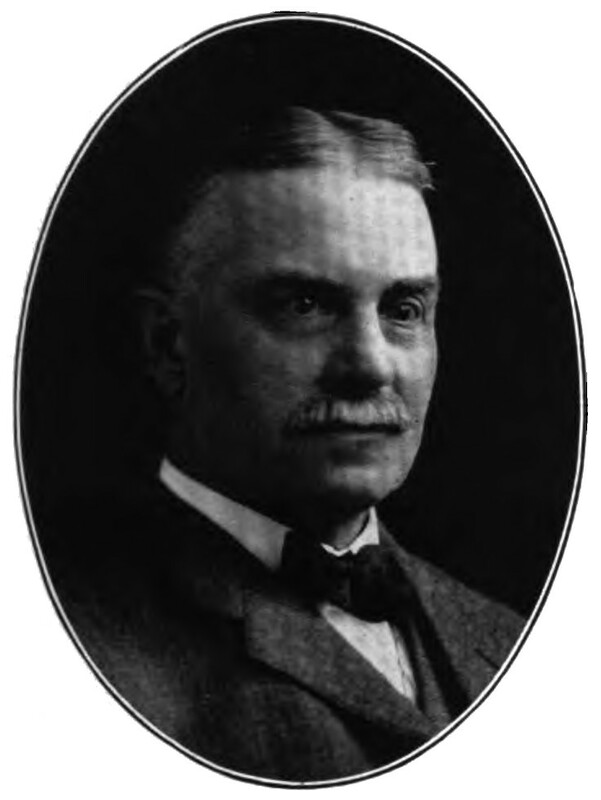 ; E. Steeb, Aud. ; M. C. Steiner, Pur. Agt., Jersey City, N. J." "Directors: Udolpho Snead, I. S. Snead, New York; A. S. Macdonald, Great Neck, L. I.; H. P. Macdonald, Montclair, N. J.; L. R. Stagg, Ridgewood, N. J." 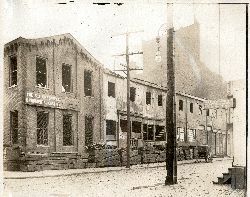 "General Office, foot of Pine St., Jersey City, N. J." Cleveland: the one we care about, which has the same address as the Solar Prism Company (222 Champlain). 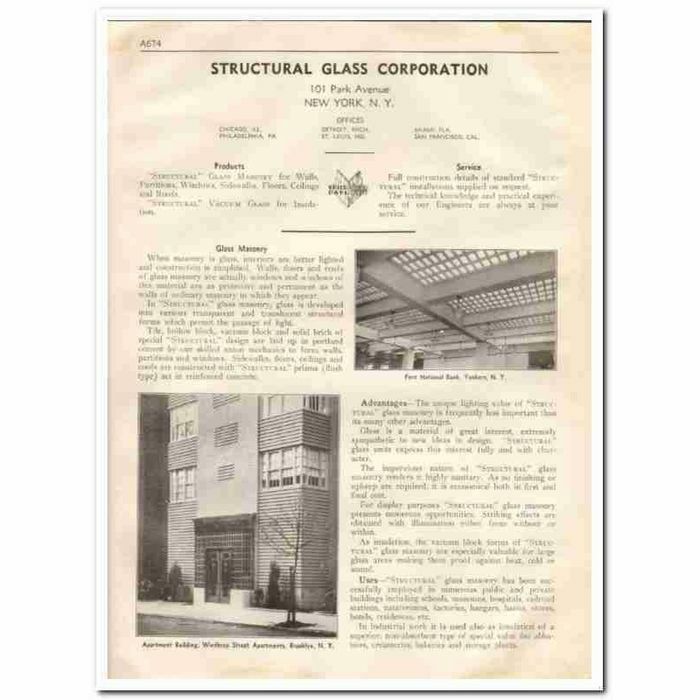 "In 1929 the Structural Glass Corporation introduced several sealed hollow glass blocks, and the Owens-Illinois Glass Company introduced the first pressed glass block in 1932." —Twentieth-Century Building Materials: History and Conservation, §24 Glass Block, by Neumann, Stockbridge and Kaskel. 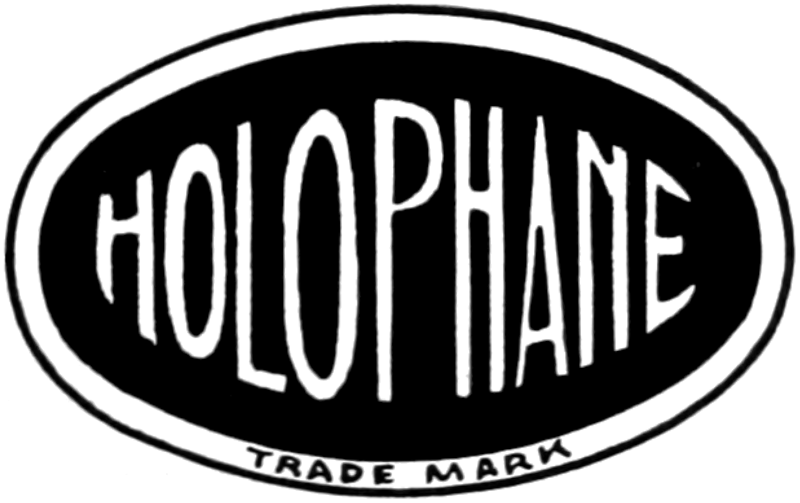 "The earliest known company to sell hollow glass blocks was the Structural Glass Corporation, based in New York City. 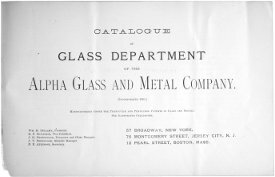 The Structural Glass Corporation grew out of the Keppler Glass Construction Company, which was founded in New York City in 1912 by Frederick L. Keppler. Keppler, born in 1862 in Stutgart, Germany, moved to the United States in the 1880s and worked as an architect in Chicago. 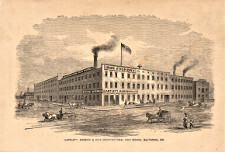 In the 1890s, Keppler became a representative of the American Luxfer Prism Company in Germany. When the Luxfer Prism Company began in 1897, it also opened branches abroad, many of which were located in Europe. One of the most successful branches was the Deutsches Luxfer Prismen Syndikat, located in Berlin and directed by Keppler." —Building Walls of Light: The Development of Glass Block and Its Influence on American Architecture in the 1930s, Elizabeth Fagan, 2015. 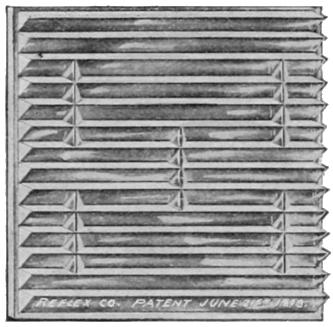 "German and French designers had experimented with glass building blocks for several decades before the process of creating sealed, hollow glass blocks that could be used as structural members was perfected by the Structural Glass Corporation and the Owens-Illinois Glass Company in the early 1930s. 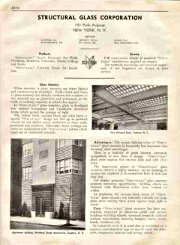 The new glass-block technology was first used in New York City at architect William Lescaze's landmarked home and studio on East 48th Street between Second and Third Avenues in 1933-34." —The Cottages: A Brief History and Analysis, Andrew Dolkart, 1997. Auction description for 1933 Sweets [or similar] 2-page entry: "Original old architectural vintage catalog STRUCTURAL GLASS CORPORATION. Masonry wall and partitions, windows, floors, ceilings and roofs, sidewalks manufactured. Prism No 13, Tile 25, Hollow Block no. 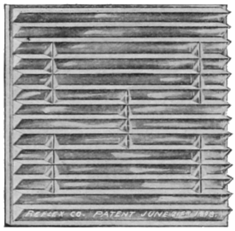 100, Vacuum Block 200, Solid Brick 400 are pictured. The main building, Sunken Meadows Recreation Center in Long Island, NY is shown. Main office was located at 101 Park Avenue, New York City, NY." 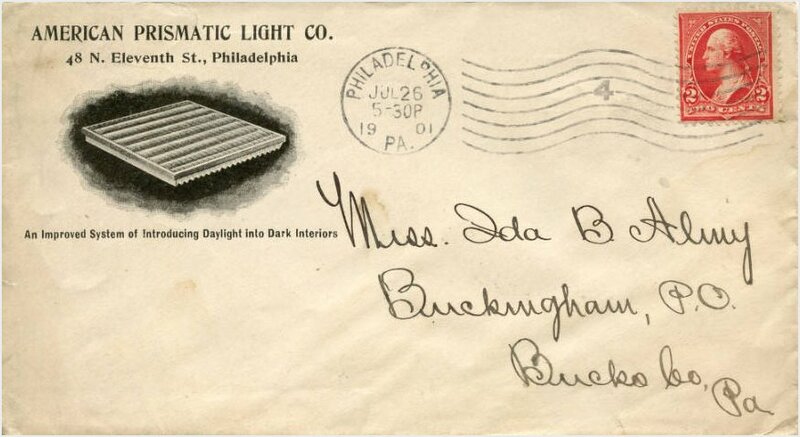 Became Brooklyn Vault Light Co. in 1896 when taken over by Henry Held. 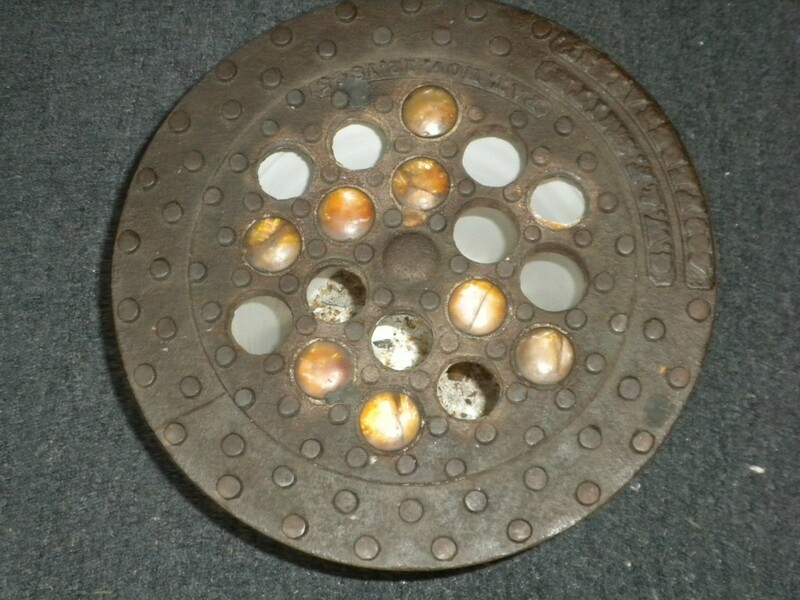 "Maybe," says the Van Dorn Iron Works Co., "there's a post-war idea here for you. The largest jail builders in America can help you plan better construction for your post-war products. Sycamore St. & Andrews Ave.